The summer holidays are a great time to rest before the upcoming year at university. But whilst it’s important to take a break, it’s just as important to prepare yourself for what’s to come. Here are three thing’s you’ll want to prepare as you anticipate the start of the term. Your courses are the crux of your life at uni. As such, you’ll want to make sure you’re prepared for them when you return. Use the rest of the summer holidays to research the course content for the next term. Use online resources to find information about what you’ll be learning, what you’ll be expected to know and how this course will benefit your overall programme of study. The more you know about your courses now, the more confident you will feel when the term begins. The biggest challenge many uni students face is to manage time and organise all their social and academic activities. Getting a head start on this whilst on summer holiday will only further prepare you for your next year. Develop a daily schedule based on your upcoming term if you know your course details ahead of time. Anticipate the amount of time you’ll need to study and allocate time for social events. Organising yourself now will reduce some of the stress you may feel once the term begins. One of the most important aspects of uni life that is often overlooked is the accommodation required whilst at university. When choosing where you’ll stay, you’ll want to make sure it provides a safe, inclusive living environment where you can socialise, study and otherwise enjoy yourself during your time at uni. Have you booked your new accommodation for the following year? Amro Vantage offers excellent student accommodation in Kingston upon Thames with access to both Kingston College and Kingston University. Both our Bright House and Greencoat House accommodation include all-in rent and bill pay, as well as no-fuss contracts that will help you focus on your coursework, not worry about student housing. 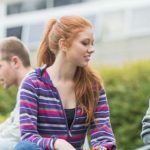 Making the most of your upcoming term at uni is simple if you prepare now. Use these three strategies to make your next year at university the best one possible.